Bearded Dragon lizards (Pogona vitticeps) have become extremely popular pets in recent years, perhaps the most popular and suitable reptile pet for beginning reptile keepers. And for good reason as they are relatively hardy, easy to cater for (as far as reptiles go) and have outgoing, engaging personalities akin to our more common mammal pets. They do, like other reptiles, require specialist knowledge and equipment to keep healthy and well however, and often the cost of providing appropriate lodgings and husbandry far exceeds to value of the animal itself. Because they are such common reptile pets, and also many beginner keepers start out with this species I frequently see them in clinic for a range of conditions, many of which can be attributed at least partly to shortcomings in their husbandry (how they are kept and managed) or nutrition. They can suffer from various infectious diseases caused by bacterial infections, various parasites and less commonly fungal infections. One of the worrying trends being observed worldwide, but noticeably in the past several years in the UK is the spread of a specific fungal pathogen that can cause severe skin infections or fungal dermatitis and ultimately death in Bearded Dragons primarily, but also some other reptile species. The pathogen responsible is a fungal organism with the rather long-winded scientific name of Chrysosporium Anamorph of Nanniziopsis vriesii (CANV) which is colloquially known amongst hobbyists as ‘Yellow Skin Disease’ of Bearded Dragons. This is an aggressive fungus which invades the superficial and deep layers of the skin and causes discolouration of the skin, necrotic lesions which slough off revealing sensitive ulcerated tissues underneath the scales and diffuse painful subcutaneous swelling and inflammation. In severe cases the hyphae of the fungus, which are microscopic root like filaments, can extend deeper into the animals body cavities and internal organs often causing marked pathology and eventually death. Transmission of the fungus responsible is thought to be from direct contamination with the fungal agent encountered in the environment, and is easily spread throughout reptile collections and other facilities housing large numbers of animals by keepers and on equipment. The incubation period from the time infection occurs to the development of visible signs can be several weeks to over a month so it is often difficult to pinpoint the exact source of infection, especially in newly acquired animals. Suboptimal husbandry conditions such as low temperatures and poor hygiene practices are often responsible for predisposing animals to this disease. However many well cared for and otherwise healthy animals can become infected if exposed to the pathogen also. After infection, the early signs of disease usually present as dry, crusty, hyperkeratotic lesions and discoloration of the skin which can lead to patches of retained skin after shedding. Excessive or more frequent shedding is common at this stage of disease also. These lesions generally progress over several weeks to months and become necrotic and exudative meaning the skin starts to die and release infectious discharge. Wet, scabby lesions form on the surface of the skin and eventually slough off or can be lifted off when cleaned to reveal pustular discharge underneath and ulcerated inflamed soft tissue devoid of the superficial skin layers or scales. These ulcers are obviously very painful and prone to secondary bacterial infections. Once the disease has advanced this far it can be quite difficult to treat successfully. Recovery and regeneration of new skin takes a considerable period of time, and the animal is often left with extensive scar tissue if it survives. Lesions are commonly found on or near the mouth or head but can be found anywhere on the body. Other diseases which may be confused for this condition include bacterial dermatitis, stomatitis, thermal burns and indeed other fungal skin infections. Diagnosis is made based on clinical signs, appearance, and testing skin samples or tissue biopsy for the organism itself using PCR, microscopy or culture techniques. Treatment is multimodal and involves the use of an oral antifungal drug called Itraconazole which needs to be given every day for 4-6 weeks in most cases. Antibiotics are sometimes used also to treat or guard against secondary bacterial infections. Topical cleaning with chlorhexidine is recommended as well as the application of topical antifungal agents such as miconazole or F10 ointment. Topical agents alone are not indicated for a successful outcome however, as it appears that most success is achieved using systemic antifungal treatment with oral itraconazole at the correct dose rate. For this reason it is crucial if you have an animal you think might be affected to seek the advice of an experienced reptile veterinarian. The disadvantage of using this drug is that it can have severe side effects with long term use however, especially with regard to liver function and particularly in already debilitated animals. It is crucial therefore that affected lizards are treated early, appropriately and that supportive care is given in the form of supplemental feeding and hydration if necessary. Monitoring of liver function during treatment may be necessary in some cases, which requires blood sampling. Aggressive surgical debridement of lesions is sometimes warranted also to reduce the presence of the fungal agent and aid in treatment. I have treated several suspected and confirmed cases of this disease in Bearded Dragons and one suspected case in a chameleon. Sadly not all of them have survived. In two cases where a single limb was affected I amputated the affected limb and the Beardie went on to live a very happy life. If caught early, this disease can be treated successfully. It is critical to prevent the spread of the organism to other reptiles so isolation of the affected animal and great care to prevent mechanical transmission on owners hands, clothes or equipment is recommended. Rigorous cleaning and disinfection of cages, furnishings and equipment is also crucial in limiting spread of the organism or re-infection as well as discarding all contaminated substrate or porous materials from the affected animals vivarium. The disease is not zoonotic meaning it does not readily transmit to humans as it is primarily a reptile pathogen. However there have been a few reports of CANV isolated from severely immunocompromised human patients so sensible hygiene precautions that should be implemented with any ill pet need to be taken. The new thinking on neutering pet ferrets. 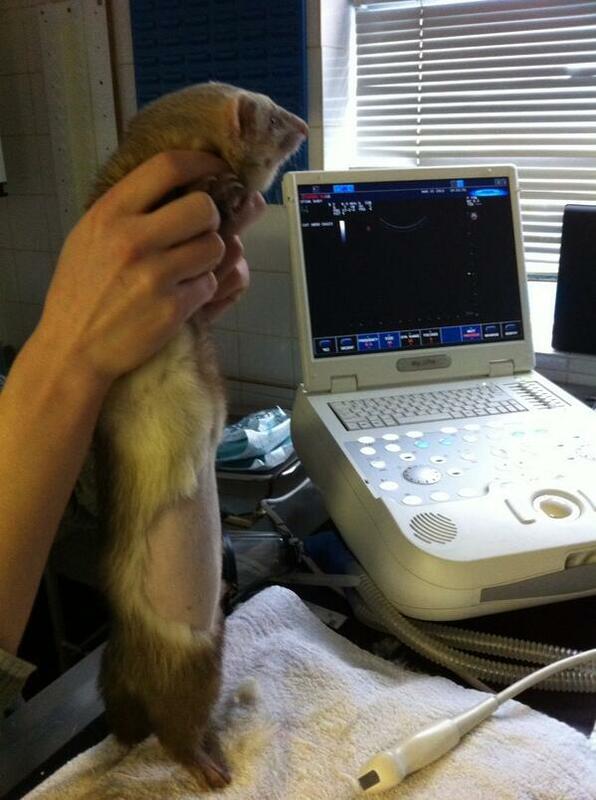 We have seen several ferrets in my clinic (www.richmondvets.co.uk) in recent months. One of the common questions from owners regards neutering and spaying pet ferrets. Ferrets are unusual creatures in that females, or Jills, are ‘induced-ovulators’. This means that they require mating to take place in order to ovulate, otherwise they can remain in season or oestrus for long periods of time. When this occurs high levels of oestrogen for months on end can lead to serious consequences including a fatal anaemia due to bone marrow suppression. Traditionally, the solution to avoiding persistent oestrus was either to mate your Jill to a male ferret or Hob, to use a vasectomised (infertile) Hob to mate with the Jill thus avoiding an unwanted litter, spaying the Jill to remove the ovaries and therefore source of hormones, and finally the most popular method of using a ‘Jill-jab’ steroid injection to suppress oestrus each Spring before she came into season. The problem however of spaying female ferrets is that removing the source of oestrogen creates a hormonal imbalance relating to the pituitary gland in the brain. Because there is a lack of oestrogen being produced, the pituitary gland starts to release excessive Gonadotrophin-Releasing Hormone (GnRH) in an effort to stimulate the now absent ovaries. Unfortunately, in many ferrets this overproduction of GnRH over time leads to changes within the adrenal glands and adrenal disease develops. Male ferrets once sexually mature develop a pungent smell, greasy coat and often start spraying urine as a territorial behaviour, which makes living with them in the home quite difficult in some circumstances. Traditionally, castration was advised as a solution to these problems but again removing the testes disrupts the normal hormonal balance in the body and can lead to adrenal disease later in life. Vasectomised ferrets used for mating with females and reducing persistent oestrus problems are infertile yet retain their testicles so continue to produce testosterone and exhibit male behaviours. Adrenal disease is reasonably common in older ferrets and can have serious side effects on other organ systems as well as being life-limiting in itself. Recent studies have shown a significant risk of adrenal disease in neutered ferrets, therefore the recommendation in recent years is to avoid surgical castration or spaying of male and female ferrets. Luckily, there is a hormonal implant developed for use in dogs which has now been licensed for use in ferrets also, therefore allowing all the benefits of surgical neutering in male and female ferrets including rendering them infertile without the added risk of future adrenal disease. The implant itself contains a drug called Deslorelin and is slightly larger than a standard pet microchip. In most cases in order to ensure comfortable and safe insertion the ferret is given a small amount of anaesthetic gas so it is unconscious during insertion of the implant. Generally the process needs to be repeated every 18-24 months as the implant has slow release activity and eventually it’s efficacy runs out and it is absorbed by the body. There is also a stronger dose implant available which can last up to 4 years for an adult ferret. Modern veterinary advice regarding control of reproduction in ferrets highly recommends using this implant technique rather than surgical neutering in order to reduce the incidence of adrenal disease later in life. 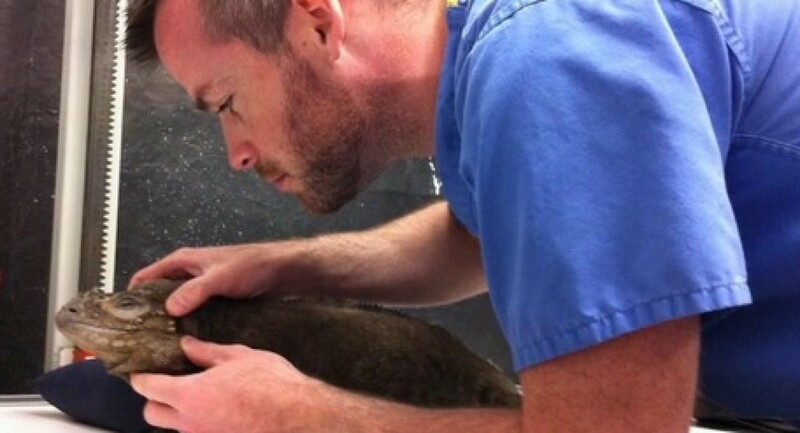 The implant can be placed once your pet ferret has reached puberty and become sexually mature. I’ve neglected this blog I started ages ago, mainly due to personal and professional time constraints and focusing on social media platforms to share quick snippets of information and photos of my work. My Facebook (Sean McCormack Mvb) and Twitter (@ExoticPetVet) contain lots of advice, interesting case studies and photos, so feel free to have a browse of each. However, I’ve been putting various writing projects on the long finger for quite some time, and have decided to dedicate a few hours on my day off from clinics towards writing articles of my own. I would be really interested to hear from you regarding topics you’d like me to write about. Please post in the comments or on my social media pages if you have a specific request. Would love to hear from you. Currently I write for the wonderful US based publication, Herpetoculture House Digital magazine (http://herphousemag.com/), which I would encourage anybody serious about reptiles to subscribe to. It is well worth a read and if you enter my offer code ‘HERPVET’ at checkout it will get you a 30% discount! I also write occasional articles for some UK based publications. But I wanted to focus on my own blog, where I can accumulate lots of interesting topics for exotic pet owners as well as other vets. Feel free to share and link to my blog, I would appreciate your help in reaching a wider audience. Here’s to a new start, and I hope you find my musings and ramblings entertaining and informative.